With so much interest surrounding the burgeoning legal marijuana industry, individuals across the country are looking to claim their piece of the cannabusiness pie. But for as many people seeking work, perhaps just as many are wondering: How? In truth, there is no one answer to this question, but there are some industry-tested tips for improving your chances of finding a cannabis career. Part of what makes the process of finding budtender jobs, positions in growing, or concentrate extraction difficult, revolves around applicant experience level. Most people do not have experience in the legal marijuana industry, and those who have illegal experience are afraid to highlight that in their applications. Below are some do’s and don’ts to consider when applying for recreational and/or medical marijuana jobs. Marijuana industry legislation is confusing. Everything from growing to selling is deeply entrenched in state and municipal regulations, making the process of understanding local cannabis law more difficult than many would like. The best place to gather preliminary information is to visit your city and state’s “.gov” website. You can be sure that the information provided here is current, though not necessarily easy to understand. Norml.org is a go-to resourse for many marijuana industry workers, as it clearly delineates all the fluctuating marijuana laws in each state. Yes, this is the legal marijuana industry. No, this does not mean you can smoke whenever and wherever you’d like…unfortunately. Keep this in mind before showing up to work blazed on your first day. While it’s no secret that most cannabis industry employees are regular marijuana users, employers want to make sure their employees are productive. Getting high at work is also a liability for the employer should anything go awry. 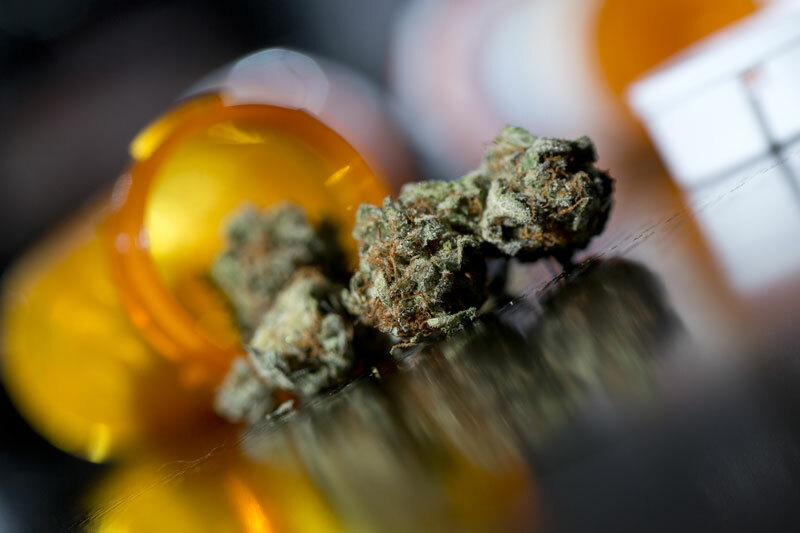 Most marijuana dispensaries, for example, do not allow any on-premises consumption, except in the case of medical marijuana patients who require medication during work hours. Even in these cases, employees are not allowed to be “intoxicated” during work and may not consume cannabis in view of customers. Lots of people who want to work in the legal pot industry consider themselves cannabis aficionados, but fewer have the depth of knowledge required for working some of the industry’s most desirable jobs. Working as a budtender, for instance, is more than just knowing the difference between indica and sativa — the job requires a well-versed employee who knows the ins and outs of individual strains and their medicinal benefits. Additionally, budtenders should be fluent in all legal cannabis products, such as concentrates or dabs, as well as edibles, topicals and all the paraphernalia and consumption methods that facilitate marijuana use. Especially if you are working a customer service related job, it’s really important to be current on cannabis culture as a whole, in order to proficiently answer any questions patients and customers may have. While we can probably all agree that it’s better to have a knowledgeable marijuana employee than a novice, no one wants to interact with a know-it-all. In fact, one complaint I hear frequently from cannabis customers is a trend toward condescending dispensary staff that deters, rather than attracts, reliable customers. For many, the legal marijuana industry is their first foray into using cannabis products. It’s likely that these same individuals experience apprehension when buying products for the first time, making it important that dispensary staff open themselves up to dispelling any fears or myths the customer may have, without making them feel stupid or uninformed. Getting down to brass tacks: a key avenue for acquiring a job in the legal marijuana industry is about making connections. I’m sure this isn’t the first time you’ve been told that it’s all about who you know, but there are reasons for this specific to the marijuana industry. Especially since the business is still relatively young, there is a massive interest on behalf of employers toward trustworthy, credible individuals. Weed is still largely a cash business, one where the products have high value in both legal and black cannabis industry markets. If you already have a friend that works in a dispensary, at a grow operation or edibles kitchen, good for you! Assuming you and your friend are in good standing, this can be a major asset toward boosting your credibility with employers by association. If you don’t have any current connections, never fear! If you are a frequent customer of a dispensary, be friendly with your local budtender, receptionist or dispensary owner and manager. There is a lot to be said about being a compassionate, consistent customer that can be transferred into skills as an employee. If the opportunity calls for it, ask employees what their experience was finding a job and if they have any suggestions for you? There is no guarantee when you apply for jobs (even if you’re a qualified candidate) that you will be chosen for a position. The industry is ultimately very competitive and requires a thick-skinned, dedicated individuals. It may take a few months and several applications before you get a bite. If there’s one thing to take away from this article it’s this: don’t give up on your dream of working in the cannabusiness. I speak almost everyday with individuals scouring the internet for open positions with no bites. Some people have illegal experience in the marijuana industry, others have no background at all. The frustration these concerned individuals have toward the industry and their experience is valid; however, the future of the cannabusiness is bright in scale and opportunity. As the business continues to grow, opening up more sectors and creating jobs, greater possibilities for finding your place in the industry is possible! As the market continues to develop, general job sites like Indeed.com are giving way for professional niche marijuana staffing and recruiting sites like Canna Recruiter, which helps to streamline the process of connecting employers and applicants with a more user-friendly experience.